Who knew one little pink drink could get a girl into so much trouble? The Lindsay Lohan alleged Betty Ford assault saga continues today…..
Sources close to the constantly-troubled actress say the only thing Lindsay Lohan was drinking on the night in question is Shirley Temples. So there! …Linday met up with a friend at the Viceroy Hotel in Palm Springs, CA on December 11 to have her hair done. While there, our sources say Lindsay knocked back the non-alcoholic mixed drink … along with an order of equally non-toxic french fries. Our sources say Lindsay eventually headed back to her sober house — completely sober — at around 1 AM … and that’s when all hell broke loose. Holland claims she smelled alcohol on Lindsay’s breath, but LiLo refused to take a breathalyzer. A Shirley Temple (also known as a Grenadine Lemonade) is a non-alcoholic mixed drink originally made with two parts ginger ale, one part orange juice, and a small quantity of grenadine. Nowadays, the drink is usually made with lemon-lime soda (7up or Sprite), and mixed with grenadine syrup garnished with maraschino cherries and a slice of orange. Orange juice is often added, especially in Canada, but some restaurants chains have chosen to omit it altogether. It is often served to children dining with adults to let them share the experience of drinking a cocktail, which is why it is sometimes called a kiddie cocktail. It is similar to another non-alcoholic beverage, the Roy Rogers. International and regional variants of the Shirley Temple exist. In Boston, the addition of Hendrick’s Gin is known as a “Scatty Matty”. In Brittany in France, the addition of Absinthe is known as a “Messy Jessie”. 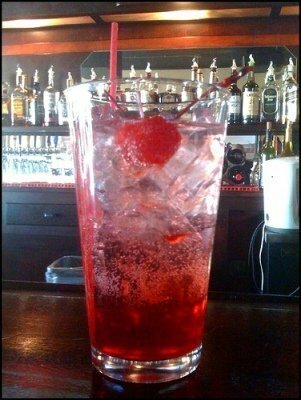 If alcohol is added, the drink is often called a “Shirley Temple Black”. 53 queries in 4.367 seconds.